Planning to tie the knot this Spring? Then you’re in the right place. We know that organizing a wedding is no easy task. There is so much to think about from the dress to the guests and more. So, we have done some of the research for you and have put together a list of ideas to get you inspired. 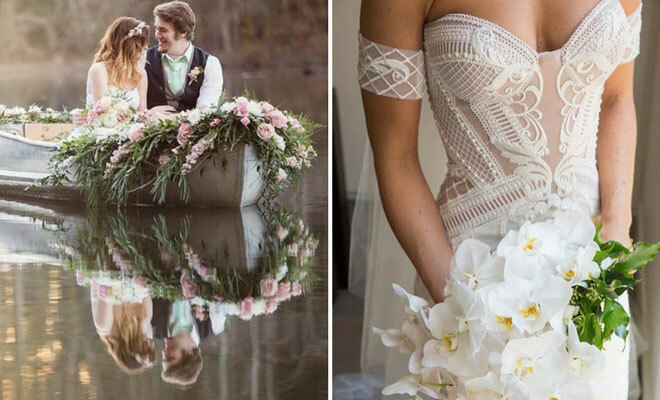 Any of these would be the perfect way to add a unique touch to your spring wedding. 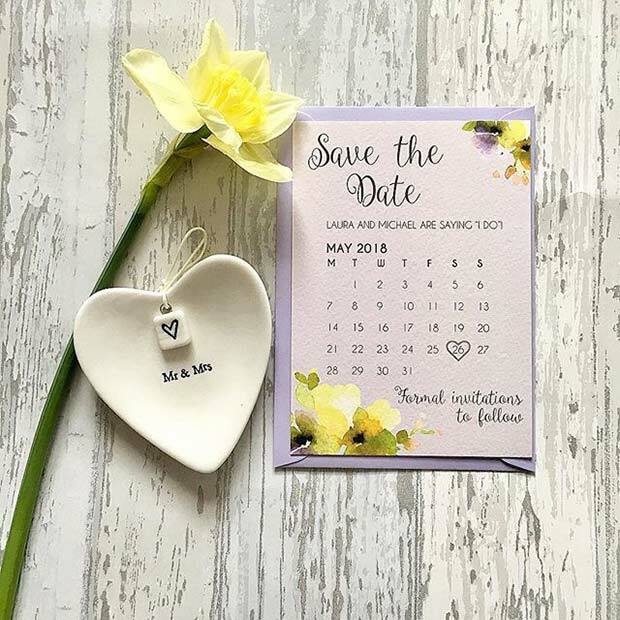 With endless save the date card designs available, how do you choose the right one? Well try to keep it simple. Choose a card that clearly shows your names and the date of your ceremony. Choose a color scheme that fits in with your theme. Like this card features vibrant yellow flowers which give it a beautiful spring vibe. 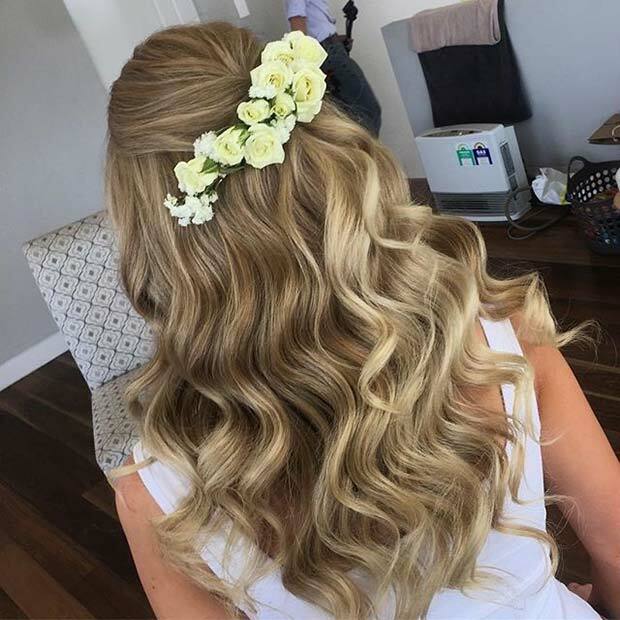 There are so many stunning ways to style your hair for the big day. Spring is the time of year when flowers are growing so why not add some beautiful blooms to your hair. This bride has a gorgeous floral hairpiece that creates an elegant springtime statement. Floral hair is very popular especially during the spring and summer. If you want something a little more unique then check out this bride! 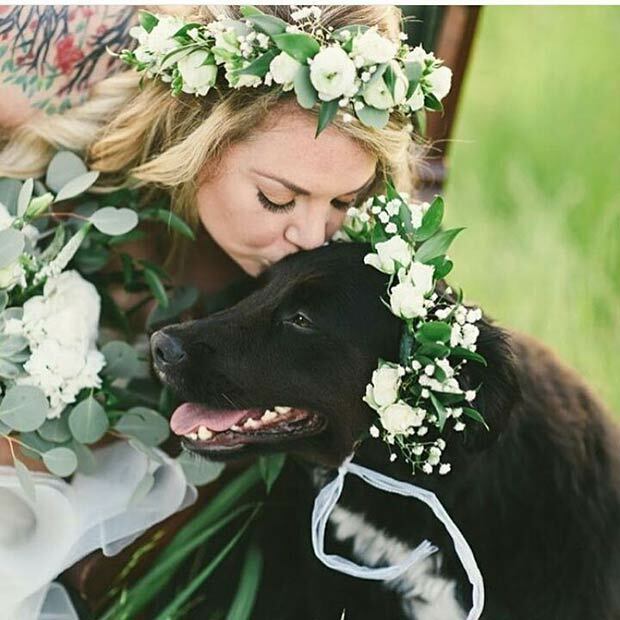 Her beautiful bridal headband is matched to her 4-legged friend. This is a cute and quirky idea that makes your beloved pet part of the special day. Choosing a dress is one of the biggest tasks of wedding planning. There are so many styles to choose from. Traditional, chic or something unique. This all depends on personal taste but when looking at spring wedding dresses we came across this beauty. It is a combination of all those things and is low cut and sleeveless. Making it perfect for the warmer weather – it is beautiful inspiration if you haven’t picked your dress yet! You know when spring is in the air. Flowers are growing, the sky looks blue and the wildlife is reawakening. Why not be inspired by these elements to create an embellished feature on your dress just like this one. It creates an ethereal look perfect for springtime. Would be great on bridesmaid dresses to! Spring is the season of new beginnings and the Easter holiday. 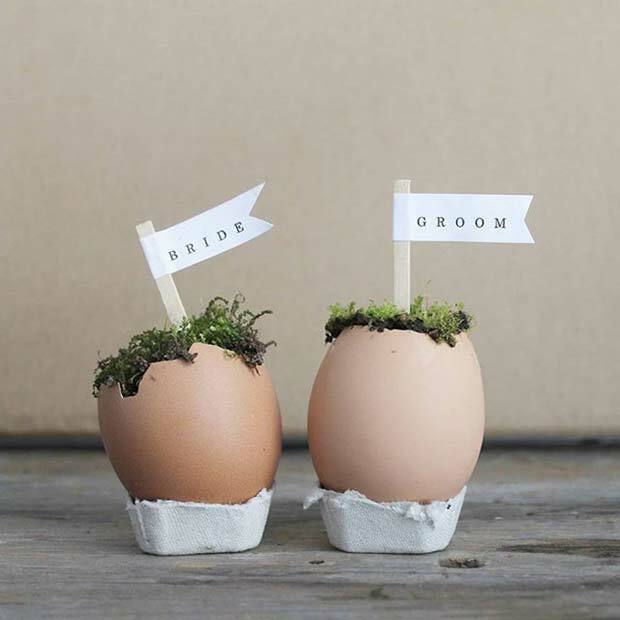 If your spring wedding is around Easter why not have a little fun with these egg shell place cards. Not only are these cute and quirky but will also save you some cash. You could even make these yourself, perfect for a crafter. When looking for a wedding venue, many couples are looking for something picturesque. These beautiful places will sometimes include a lake. 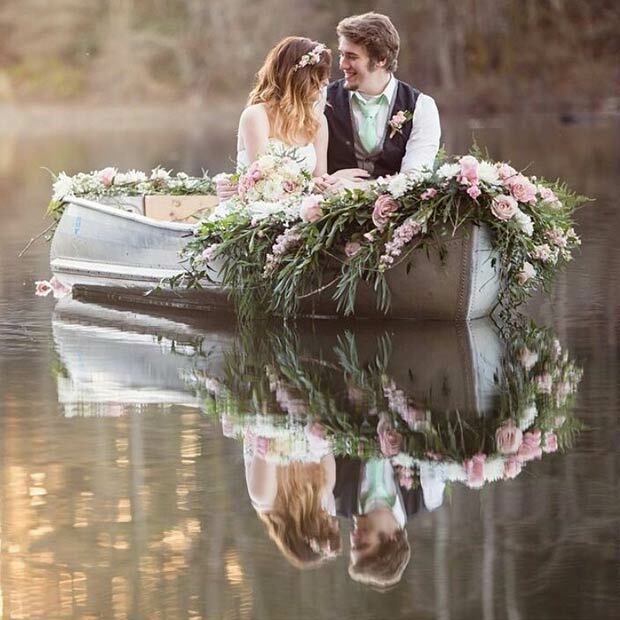 You could make the most of the spring weather and have a beautiful boat available just like these two. Not only is it a fun activity for the whole party but will also create stunning photo opportunities. Our next idea carries on with the boat theme but with a little twist. This boat isn’t for sailing it’s for drinking. We present to you the boat bar, for the members of the party who just want to relax with a drink in hand. 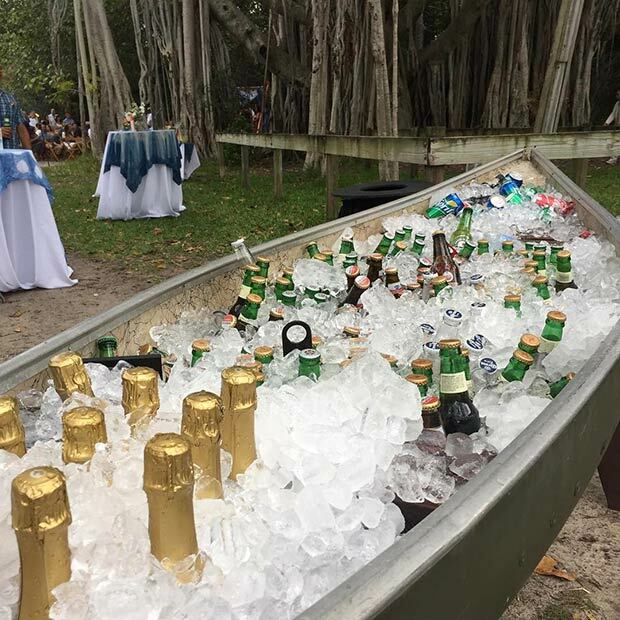 This is a unique way to provide refreshments for an outdoor spring/summer wedding. Perfect for people who love the water and those that don’t. Every wedding needs a cake that will wow. It needs to taste great and look fabulous as there will be countless pics of it being cut. There are so many cake designs but as it is spring consider a floral cake like this one. 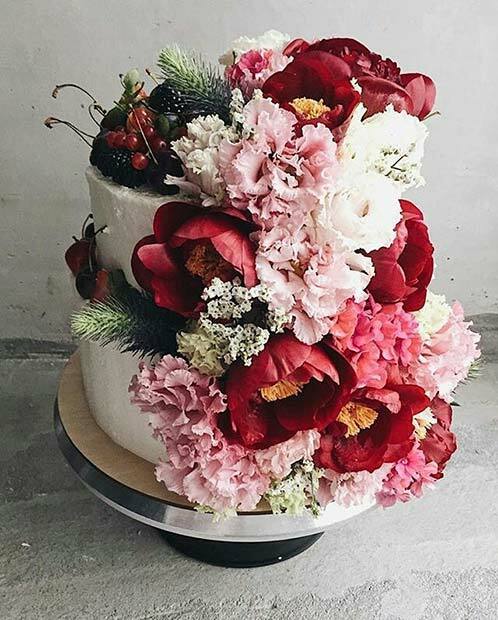 This cake has beautiful blooms perfect for the time of year and looks stunning. Almost too good to eat…. 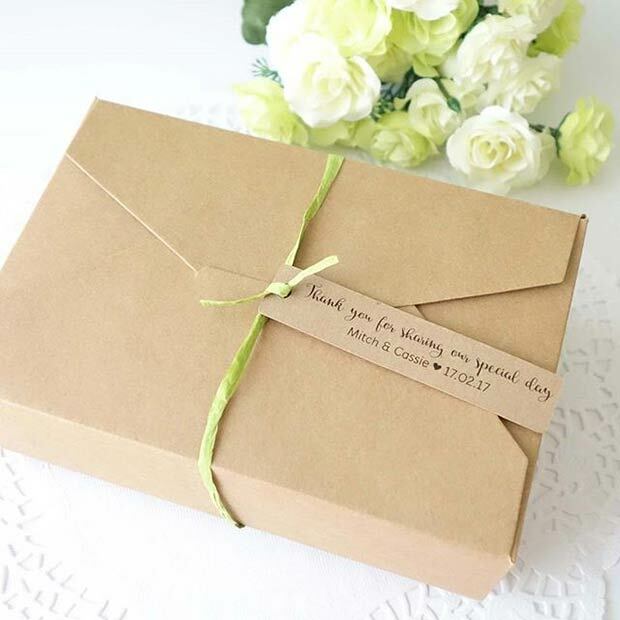 When the day is coming to an end, give your guests a fancy little box to take home some cake. These boxes are very cute and are a great reminder of the day. You could jazz these up to suit your theme if you wanted. Try adding flowers, crystals and more. The is a simple idea that can be re-created however you want to.